Can’t remember the last time I did a ‘long’ ride. 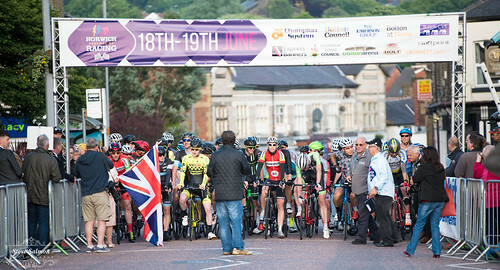 Recently it’s been all about races lasting ever shorter amounts of time, as if the fairly short road races weren’t enough, June’s been about going flat out for no more than an hour really. 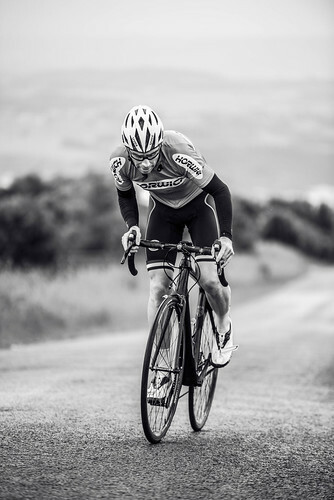 June brings with it some ace local club hillclimb events. 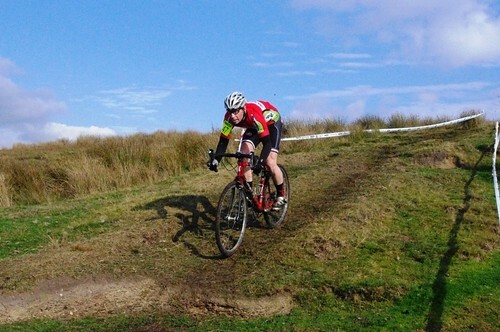 first up was the Horwich CC race up Sheephouses, near Rivington. 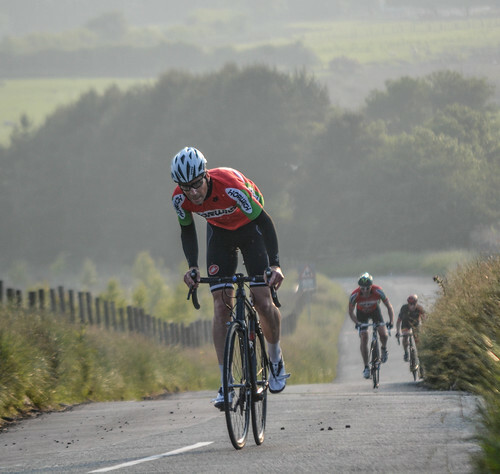 Quite a long climb (for UK hillclimbs I mean, it’s not exactly Ventoux…) so you can’t just sprint up it, a bit of pacing is required. Or, to put it another way, you have to suffer for longer. MY time up it this year was slightly slower than last year, but everyone’s time seemed to be a bit slower this time round. The end result was pretty much the same as last time – I finished in 3rd, happy enough with how I’d done after spending most of the previous week on holiday, drinking beer and eating lots. The very next evening was the seconds Horwich event, this time up Matchmoor. slightly shorter than the first round at 1.5 miles, but still long enough to not be a straight up sprint. I think I was way too laid back about the race and didn’t do a warm up at all, which came back to haunt me after about 2 minutes. My legs wouldn’t respond, my lungs simply weren’t opened up enough to haul in enough air, leaving me flailing around and grovelling over the finish line a full 13 seconds slower than last year’s effort on the same course. Good enough for 2nd on the night, but a really stupid mistake to make. 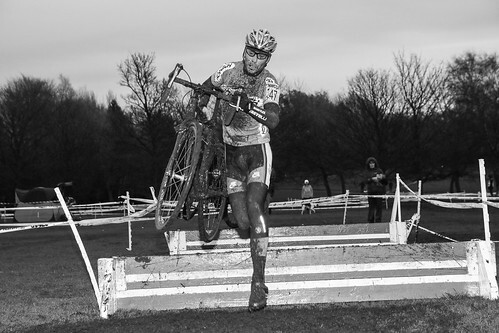 Pic by Stephen Salmon – who, like Ellen, takes great pics at absolutely LOADS of local races. 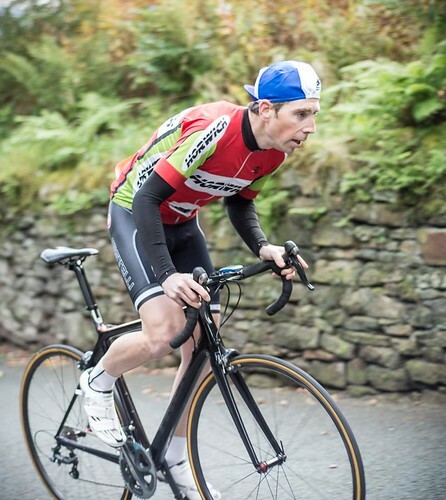 Mini-hill-climb-season over (though I’m tempted by a few others I’ve spotted on the Time rialling website…) it was back to racing on the road. 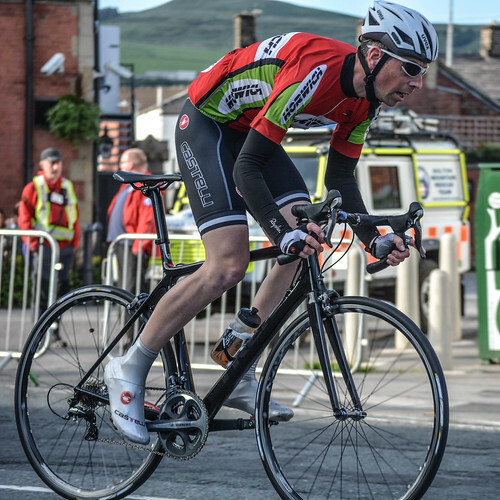 This time a town centre crit in Horwich. These things are ace. All the silly speeds and knee-down cornering of usual crits, but on closed roads right in the middle of town. 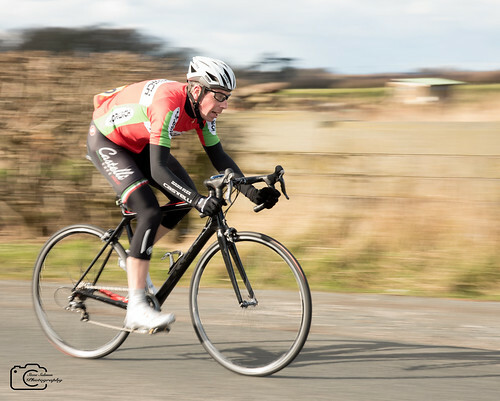 Racing them is pretty much as close to the feeling of being a pro as I’ll get, so even though this one was an E/1/2/3 category (so had lots of ‘proper fast’ people entered), I really wanted to take part. 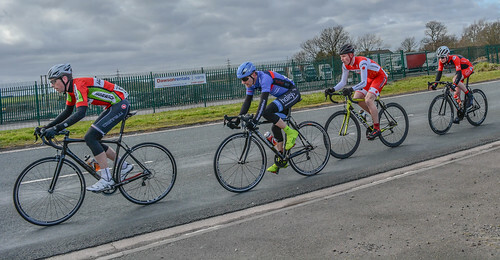 It hit home a bit that I wasn’t going to be riding off the front of the bunch without putting any effort when I stood on the start line and realised I had more body fat than the rest of the front line combined, but hey ho, I thought, if you look confident you can look like you’re supposed to be anywhere. I also failed at that and just looked properly nervous. The first few laps were, as I expected, pretty bloody fast. 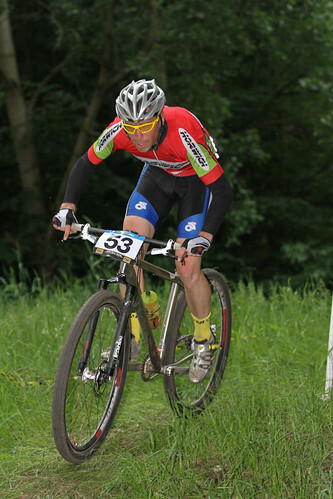 To the point where I convinced myself my back wheel had moved in the drop outs and was wedged against the brakes, it was that hard to get up the climb over the start/finish line! 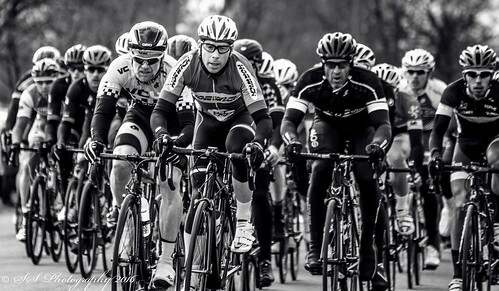 It hadn’t, of course, it was just me suffering at the start of the race before my lungs and legs had got used to the effort but during the half a lap where I dropped towards the back to double check everything was properly attached, a break containing most of the fast lads got away. It was pretty galling to see the space open up while I tried to hurl myself from the back of the pack towards them as I realised what was happening (especially as Dave Headon had warned me about exactly this happening moments before the race), but by the time i flung myself off the front of the now 2nd group, the gap was a good 10 seconds or so. 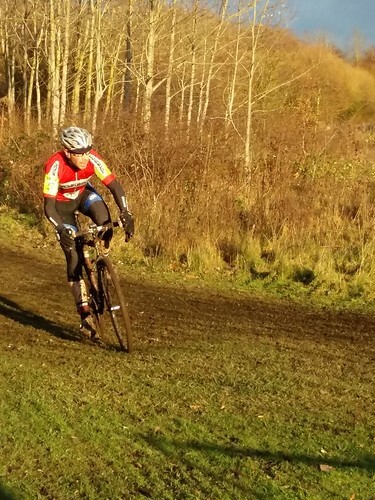 For three laps I chased as hard as I could, off the front of the 2nd group and ever so slowly reeling back the leaders, the gap up to them shrinking down as far as just 4 seconds before I had to sit up and admit I wasn’t going to get back to them. Damn.